A place out of time, Ashaunt Point—a tiny finger of land jutting into Buzzards Bay, Massachusetts—has provided sanctuary and anchored life for generations of the Porter family, who summer along its remote, rocky shore. But in 1942, the U.S. Army arrives on the Point, bringing havoc and change. That summer, the two older Porter girls—teenagers Helen and Dossie—run wild. The children's Scottish nurse, Bea, falls in love. And youngest daughter Janie is entangled in an incident that cuts the season short and haunts the family for years to come. An unforgettable portrait of one family's journey through the second half of the twentieth century, The End of the Point artfully probes the hairline fractures hidden beneath the surface of our lives and traces the fragile and enduring bonds that connect us. 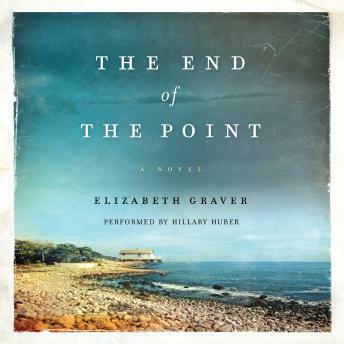 With subtlety and grace, Elizabeth Graver illuminates the powerful legacy of family and place, exploring what we are born into, what we pass down, preserve, cast off or willingly set free.